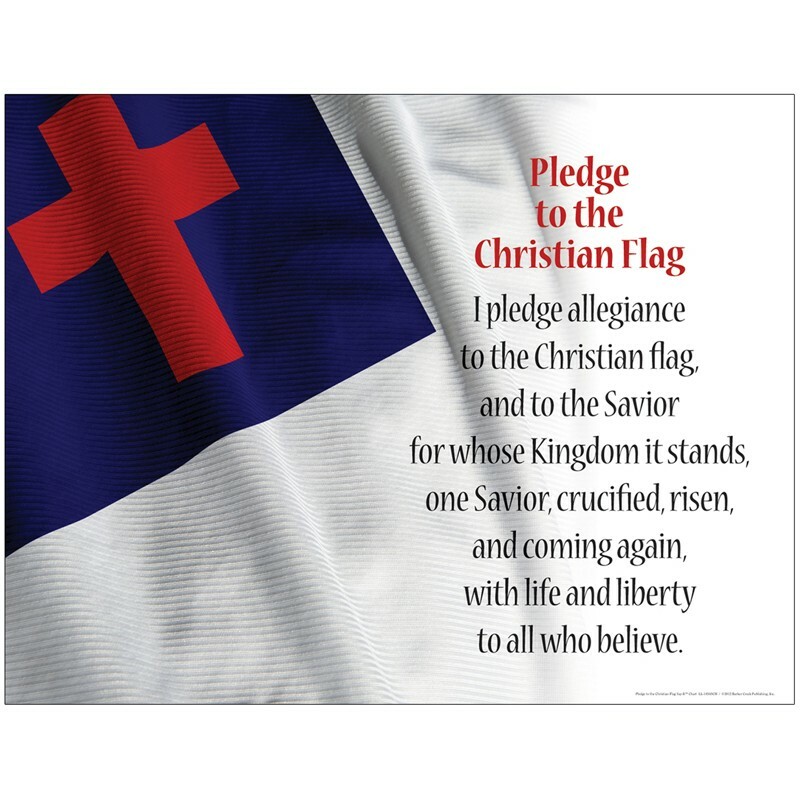 One of our newest editions to our Simply Blessed spiritual product line, this new Pledge to the Christian Flag chart features a dramatic photo of the flag with the pledge overlaid on it. Hang this beautiful 17" x 22" poster "as is" or frame it for a more polished look. It's perfect for your sunday school classroom, bible study gathering spot, spiritual classroom, and as an encouraging reminder around the house! Several reproducible bookmarks, a word search, and a coloring activity are included on the back of this chart.